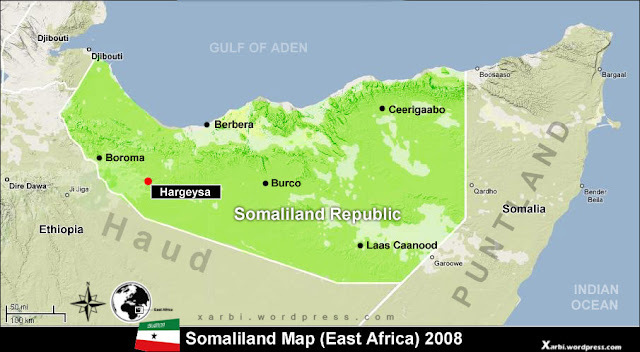 HARGEISA, 8 April 2009 (IRIN) - Hundreds of families in Somalia's self-declared republic of Somaliland have fled inter-clan fighting in the mid-west Satiile area in Gabiley region, officials said. The fighting, the second flare-up in three months, started on 7 April after a group of men drove into Satiile settlement area and shot dead a local farmer and wounded his brother. Ahmed-Bare Sa’id Kibar, a village elder in Satiile, said at least 200 families had fled from Xar-Makahiil, Dacawalay, Laaca, Maslayaha, Jaldhaabta and Satiile farmland settlements to Adado Dhaadheeray, Kalabaid. 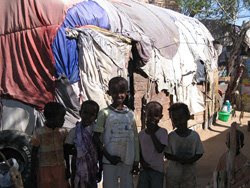 Some of the families had fled to Gabiley, the region's capital, he added. Elabe Mohamoud Hufane, the deputy mayor of Dilla District in Awdal region, said: "We received reports mid-morning yesterday that a man, identified as Ahmed Yasin Kule, had been shot dead on his farm while his brother survived and managed to flee. "We went there to calm the situation with the district police; we were told the men who shot dead Ahmed Yasin were from Elberdale area in the north, where a land-based conflict had started some time ago." In late February, two men were shot dead following inter-clan fighting between the Reer Hared of Gabiley region and the Reer Nour of Awdal region. The conflict dates back to 1998 when the clans confronted each other over the war between the Somali National Movement (Somaliland's liberation organisation in 1981-1991) and the army, which was loyal to the late Mohamed Siyad Barre, then Somali president. At the time, the Reer Nour supported Barre while Reer Hared supported the liberation movement. Over the past two decades, attempts to reconcile the two were made and a ceasefire agreed but the issue has since transformed into a land conflict, focusing on a farming development project founded by Sheikh Muhumed Rage in the late 1950s. After the February clashes, a committee from Somaliland's upper house of parliament, the Guurti, toured the region. The committee was also in the area when the latest clashes erupted, according to Hufane. "We met several dozen families fleeing to Dilla District, and we spoke to them urging them not to flee but they went ahead saying they feared for their security," Hufane said.